2017 Lowe FM 160 T Theres nothing quite like that moment when your hull first hits the water for a day of serious fishing. 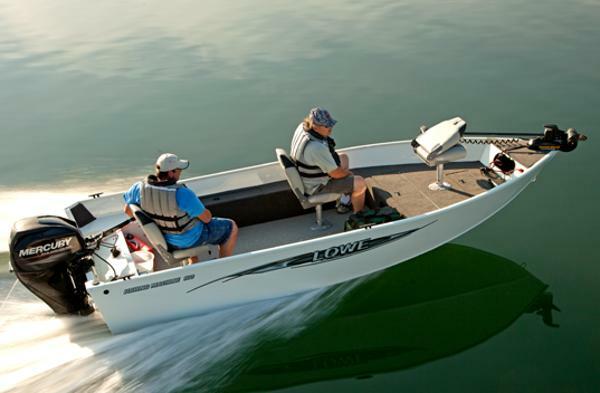 For a day full of great catches in a boat that delivers top value, count on the Lowe FM 160 T. Its rugged and durable aluminum deep-V hull slices through big chop, while its expertly designed layout serves up loads of space and easy operation. Enjoy the pro-grade features the Fishing Machine series is famous for, all in a top-of-the line tiller package. Quality Lowe construction and award-winning customer service combine to ensure this fish-ready package stands the test of time. 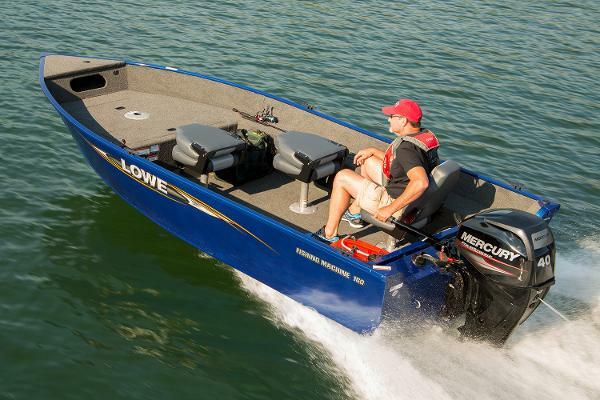 Find your local Lowe Boats dealer today! Please note: This boat model may or may not be in-stock. A Nationally Advertised Price, if listed, may change without notice or include accessories not fully described herein. Please contact your local, authorized dealer for exact details on model availability and package pricing. 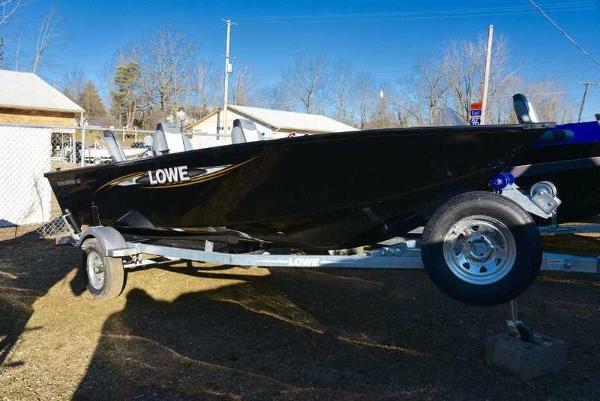 2016 Lowe FM 160 T Price includes a Mercury 25ELHPT EFI 4-stroke with power tilt, Karavan trailer with swing tongue, Lowrance Elite 3X fish locator, livewell, three seats, vinyl cockpit, weld on transducer bracket and Interstate battery. Price includes dealer prep and freight and all factory rebates. Color is Metallic Silver. Sale price $11,999.00 Clearance Price $10,999.00 LWC01811I516 Features include: Heavy-duty extruded ribs (6) 16 oz. charcoal marine carpet Mooring cleats (4) Control panel w/ switches Driver and passenger pedestal seats w/ pedestal seat bases (4) Bow fishing deck w/ 23-gallon aerated livewell Locking port rod locker Front deck and starboard storage Available factory-installed trolling motor options Available painted or galvanized bunk trailer Lowe factory packaged boats are available with various horsepower Mercury® outboards. Standard equipment and options may vary from model to model. 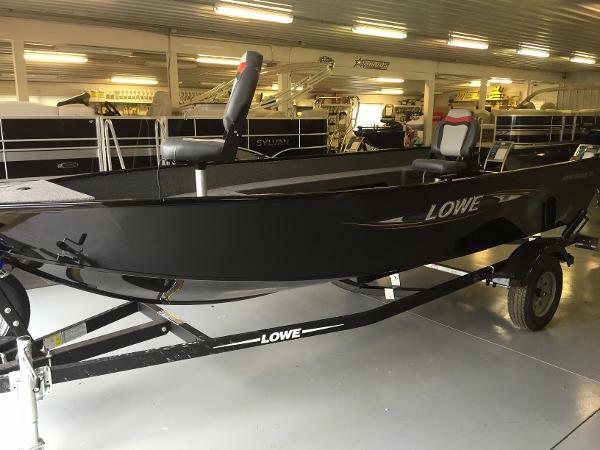 2016 Lowe FM 160 T For huge fishability and top value, count on the Lowe FM 160T. Its rugged and durable aluminum deep-V hull slices through and handles big chop, while its expertly designed layout serves up loads of space and easy operation. Enjoy the pro-grade features the Fishing Machine series is famous for, all in a top-of-the line tiller package. Quality Lowe construction and award-winning customer service combine to ensure this fish-ready package stands the test of time. 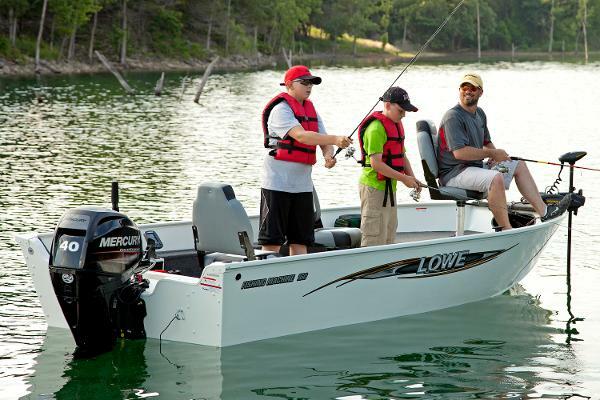 Find your local Lowe Boats dealer today! Please note: This boat model may or may not be in-stock. A Nationally Advertised Price, if listed, may change without notice or include accessories not fully described herein. Please contact your local, authorized dealer for exact details on model availability and package pricing. 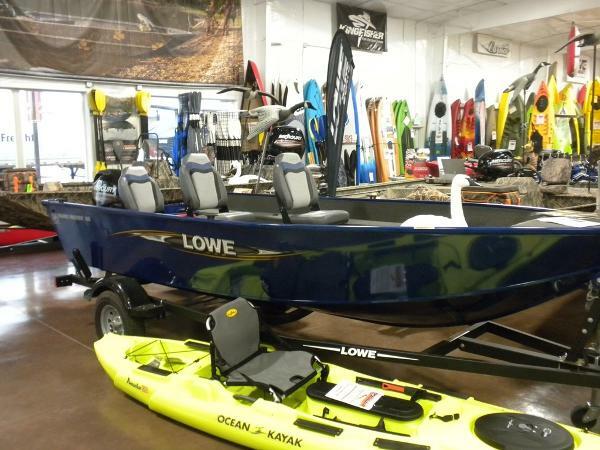 2016 LOWE BOATS FM 160 T This boat model may or may not be in-stock. Please contact your local, authorized dealer for more information The Lowe FM 160 T delivers all the fishability you need at a price that can’t be beat. With a rugged, all-welded Lowe deep-V hull and strong, efficient Mercury® outboard power, it slices through rough chop with ease. 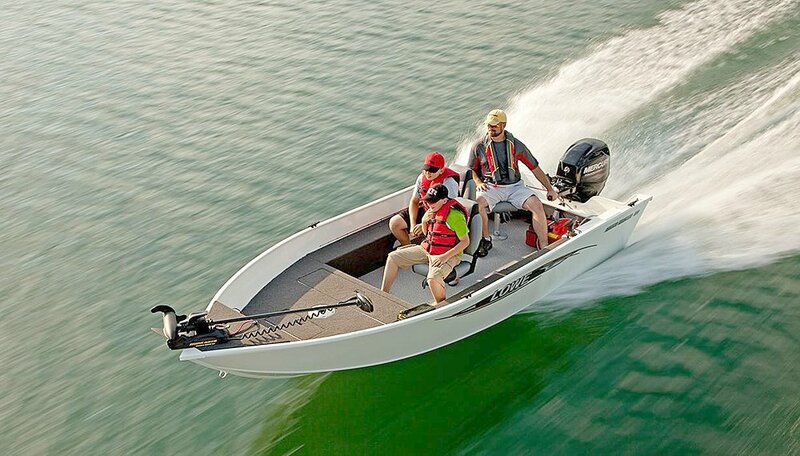 An array of standard fishing features including a large, aerated bow livewell, ample gear storage, moveable pedestal fishing seats and more equip you for a successful day on the water. Enjoy top-quality fit and finish at a terrific value, and prepare to come home with quite a haul.16 oz. 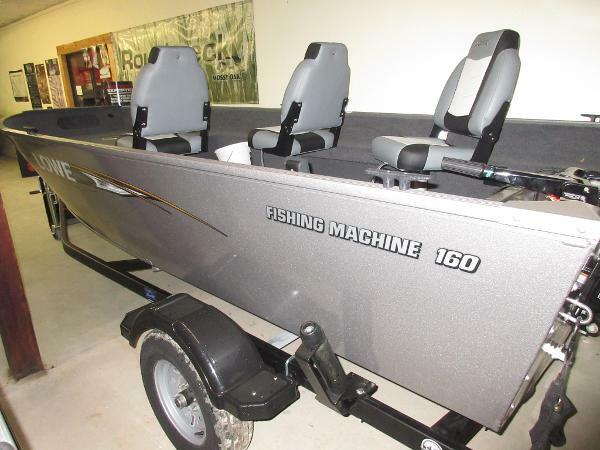 charcoal marine carpetTwo movable pedestal fishing seats w/ 4 seat basesPortside rod holderBow aerated livewell (23 gal. )Large bow deck with storagePortable gas tankNavigation lights w/ bow courtesy lightNew color options: Blue Flame, Bay, Red, Black, Silver and White Lowe factory packaged boats are available with various horsepower Mercury® outboards. Standard equipment and options may vary from model to model.